Is Your Computer Compatible with Windows 10 & Can You Upgrade? Windows 10 is coming Windows 10 Release Date Revealed, Google Launches Mobilegeddon, & More... [Tech News Digest] Windows 10 Release Date Revealed, Google Launches Mobilegeddon, & More... [Tech News Digest] Windows 10 set for July, Google goes mobile-friendly, Nokia is coming back, how to download your Google Search history, help search for the Loch Ness Monster, and the best fake GoPro ad ever made. Read More , possibly as soon as July. Will you be able to upgrade? Is your computer equipped with the right hardware? The chances are that if your computer runs Windows 8, it should also run Windows 10, but if you’re still unsure, we’ve compiled a list of details you should check before taking the plunge. Will an Upgrade to Windows 10 Benefit You? Described by some as “the operating system Windows 8 should have been,” Windows 10 features the return of the Start menu and restores the desktop to its place of importance on desktop and notebook computers, relegating the Start screen to touchscreen-only devices. 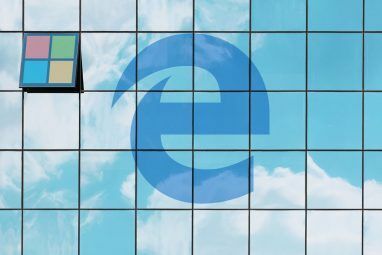 Expected to be a return to form for Microsoft Windows on Every Device - This Is How Microsoft Is Realizing Its New Ecosystem Windows on Every Device - This Is How Microsoft Is Realizing Its New Ecosystem Windows was never gone, but it's about to make a comeback nevertheless. You can currently observe how Microsoft is getting its flagship up to speed. Last week on Microsoft... Read More , Windows 10 has been available in preview form since October 2014, but its official launch will see it facing its biggest test yet – the public consumption of its collection of new features Windows 10 January Build Includes Many Exciting Changes & Some Bugs Windows 10 January Build Includes Many Exciting Changes & Some Bugs Windows 10 Build 9926 is a big leap forward. It comes with novelties, most notably Cortana, Continuum, and some overhauled features. It remains an early build that still contains bugs, but fixes are coming soon. Read More , which includes the first desktop iteration of the digital assistant, Cortana Cortana Arrives on the Desktop & Here's What She Can Do for You Cortana Arrives on the Desktop & Here's What She Can Do for You Is Microsoft's intelligent digital assistant as competent on the Windows 10 desktop as she is on Windows Phone? Cortana has a lot of expectation on her shoulders. Let's see how she holds up. Read More . If you want to get the best from Windows 10, you need to run it on suitable hardware. Better still, the Windows 10 installer will check whether your computer is suitable before it commences installation of the new OS. As per Windows 8 and 8.1, you’ll also need a Microsoft account 5 Security Tips to Consider When Using a Microsoft Account 5 Security Tips to Consider When Using a Microsoft Account You can't use much of the new Windows 8 user interface without a Microsoft account. The account you for logging into into your computer is now an online account. This raises security concerns. Read More and Internet access for installation. 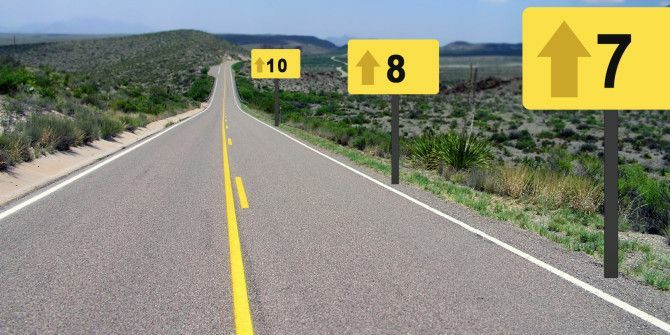 For the best results with using (modern) Windows apps, a minimum display resolution of 1024×768 is required. If the list above makes absolutely no sense to you, don’t worry. Microsoft’s Windows Compatibility Center can help you gain clarity. The Upgrade Assistant provides users with information on whether the computer they’re currently using is suitable for Windows 10. Presently, the tool is intended only for those interested in an upgrade to Windows 8.1 Is Your Software & Hardware Compatible With Windows 8.1? Is Your Software & Hardware Compatible With Windows 8.1? Windows 8.1 is much more than a simple service pack! Upgrading could mean you're stuck with a buggy OS. Don't be fooled into upgrading to Windows 8.1 before checking whether your current setup is compatible! Read More , but as we’ve already established, if your computer will run Windows 8.1 then it should also run Windows 10. Before proceeding with the check, make sure all hardware (mouse, USB devices, printers, hard disk drives, etc.) peripherals are connected to your computer, as compatibility with all devices will be verified. To check, click the button labelled Download Windows Upgrade Assistant that corresponds with your current version of Windows. You’ll soon see a report telling you whether your current hardware is suitable or not. If you’re concerned about hardware connected to your PC – things like printers and scanners, interface devices (such as gaming keyboards or mouse) – then you should check the website of the manufacturer concerned to confirm whether or not the device is compatible with Windows 10. A shortcut might be to rely on the Windows Compatibility Center once again, this time using the See what works feature to search for your peripheral device and check compatibility. As the results are displayed, check the option that most closely matches your device, ensuring that the dropdown menu has the correct version of Windows selected. If compatible, the hardware will be highlighted with a green check; look out for any links to required downloads, which will provide you with the necessary drivers. Windows 10 has several upgrade paths. The upgrade must be made within the first 12 months of Windows 10’s final release. If you have the retail version (i.e., your copy of Windows was not preinstalled on a new computer) then the upgrade should occur without any problem. Users with the OEM version What Are OEM Products and Why Are They Cheaper? What Are OEM Products and Why Are They Cheaper? OEM stands for original equipment manufacturer. Should you buy OEM products, or is there a catch that'll set you up for trouble? Read More of Windows should also have no problem, assuming they’re still using the same computer (Windows hasn’t been transferred to a new device). For users who have transferred their OEM version of Windows 7, 8 or 8.1 to a new computer, there is currently a question as to how the upgrade will work. If this means you, then you will need to wait until Microsoft releases further information. Windows RT Windows RT - What You Can & Can't Do Windows RT - What You Can & Can't Do Windows RT edition was discreetly launched about a month and a half ago with the flagship Microsoft Surface RT tablet device. Though visually indistinguishable from Windows 8, there are some key differences as to what... Read More devices (such as the non-“Pro” Surface tablets) do not qualify for Windows 10, although there may be future updates adding some new features. Users on Windows XP or Vista with compatible hardware can upgrade, but this will mean a clean install. The free upgrade will not be available to enterprise editions of Windows. Additionally, if you’re currently using Windows 8, you need to upgrade to Windows 8.1 before you can upgrade to Windows 10. In their announcements concerning Windows 10 upgrades, Microsoft has repeatedly used the term “qualified” to describe devices that will receive the upgrade. This naturally refers to legal versions of Windows, as well as hardware that meets the system requirements. While you can upgrade if you’re currently running a non-genuine copy of Windows, the resulting Windows 10 will also be non-genuine. This will affect your access to support and possibly other features. Upgrades to Windows 10 will occur via Windows Update for users running Windows 7 SP1 and Windows 8.1 S14 (better known as the 2014 Windows 8.1 Update Windows 8.1 Update Is Here! What It Is & How To Get It Now Windows 8.1 Update Is Here! What It Is & How To Get It Now Curious about the latest Windows 8.1 Update or not sure what this is about? KB2919355 is a cumulative update that comes with useful features. It can also be removed in case it causes issues. Read More ). 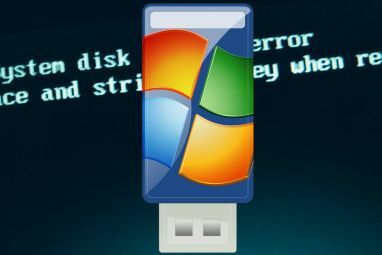 For those with other versions of Windows 7, 8 and 8.1, an ISO file will need to be downloaded and burned to DVD How to Make a Bootable USB/CD/DVD to Install Windows Using an ISO File How to Make a Bootable USB/CD/DVD to Install Windows Using an ISO File Need installation media to reinstall Windows? Our tips show you how to create a bootable USB, CD, or DVD from scratch. Read More , and the upgrade installed from the optical media. If you’re using the Windows 10 TP, this may not give you carte blanche to the free upgrade. In the past, preview editions of Windows eventually expired and users had to revert to the original OS on their system. With Windows 10, this may be different. According to Gabe Aul, Microsoft intends to support an upgrade from the Technical Preview to the RTM (release to manufacturing) version. How an upgrade from the TP to RTM will work isn’t clear, yet. Chances are, you’ll have to provide a Windows 7, 8, or 8.1 product key Four Places to Find Your Windows 8 Product Key Four Places to Find Your Windows 8 Product Key With Windows 8, finding the 25-digit product key got harder. But you still need it to download installation media or install on a machine that didn't come pre-installed with Windows 8. Read More . In any case, we recommend an upgrade from a stable Windows installation or a clean installation. As you may know, the forthcoming Windows 10 is also available to Windows Phone 8.1 users, albeit with a different user interface. Users on Windows Phone 8 will need to upgrade to 8.1 Upgrade To Windows Phone 8.1 & Enjoy A New App Store Interface! Upgrade To Windows Phone 8.1 & Enjoy A New App Store Interface! One of many changes in the Windows Phone 8.1 Upgrade is the overhaul of the app store. This improvement makes managing your apps far easier, as you will see in a moment. Read More before they can upgrade to Windows 10. Also, internal Microsoft documentation suggests that the new OS will be known as Windows Mobile 10. If you want to try out Windows 10 on your mobile device, Microsoft has released a preview version Want a Windows 10 Smartphone? How to Upgrade & Compatible Models Want a Windows 10 Smartphone? How to Upgrade & Compatible Models Windows 10 is coming to your desktop, tablet, and now to your phone. If you have a suitable Windows Phone 8.1 and a Microsoft account, the upgrade is easy to get. We show you what... Read More . Checking software compatibility is one of those little inconveniences that can avoid an expensive mistake. 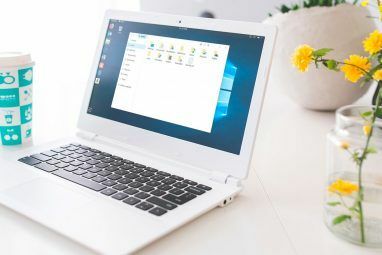 Even if Windows 10 is made available to you as a free upgrade, you wouldn’t want to waste time downloading and prepping your system for the upgrade with backups, if it turned out to be unsuitable for your PC’s hardware. The tools and suggestions above should help you to avoid this eventuality. If you’re still not certain, why not try out the Technical Preview? While not a perfect match for hardware, this should at least give you an idea of whether or not your computer will run Windows 10. With three easy ways to install the Windows 10 Technical Preview 3 Easy Ways To Install Windows 10 Technical Preview 3 Easy Ways To Install Windows 10 Technical Preview You can try Windows 10 Technical Preview for free and help Microsoft polish its new flagship operating system. Before you install it, make sure you choose the best method for your needs. Read More , it shouldn’t take long. We’ve given you a few different options for establishing whether your computer is ready for Windows 10 or not. If you’re still stuck, leave a comment below. How are you planning to upgrade? Explore more about: Windows 10, Windows 7, Windows 8, Windows 8.1, Windows Upgrade. If it's a Windows 7 machine you won't be able to upgrade to Windows 10 as it probably relies on BIOS to boot. PCs supplied with Windows 8+ were required to have UEFI capability and Windows 10 requires the same/UEFI boot approach - as I've found out myself after many frustrating hours trying to upgrade from Windows 7. Hint: Do a Belarc scan of your PC and it will probably confirm BIOS boot/can't change. Hope this info will help you. We upgraded to windows 10, then found out our computer had some programs that were not compatible so when we tried to go back to windows 7, we had a computer crash!! Very frustrating! Now we are having to purchase a new computer. Again -- very frustrating!! Did I emphasize it is very frustrating?!!? My system is not compatible with windows 10. I have loaded it twice only to have to rest it back to it'e original configuration, I contacted Dell and they were very clear that windows 10 will not work with the 8500 desktop. If Micro Soft bothers to read these comments, please stop sending the request to upgrade this computer to windows 10, especially when it stars to upgrade automatically. It is very frustrating and wants me to go over to Apple since they don't try to ram a new idea down you throat. Check your graphics card see if its slotted correctly, Check all cables for damage and if they are connected properly, and if that doesn't work try checking your graphics card and see if it is compatible with Windows 10... if your not sure you could try borrowing someone else's graphics card that runs Windows 10 already to test if that's the issue... Windows also has a Compatibility Checker that the author of the page put a link to up the page you could try running that and that should tell you as well if your graphics card will work. You can upgrade your OS to windows 10, But you can face some technical issues, So I recommend you to have clean installation of windows 10 and activate using license. I have an HP Elitebook, circa 2006, with Windows 7, and USED to run just fine. At first, I purposely tried to download Win 10, which promptly conked out during the process, and did nothing but show the message “no system found”. I had a friend retrieve my files and revert back to Win 7, which, by the way, included my recording DAW, sound files, separately, and recently purchased mp3 converter, driver and additional software for a keyboard controller, and about 30 original songs. Two weeks ago, in the middle of recording a tune, a Win 10 message popped up telling me it was downloading right then and there, without any prompt, nor a way for me to stop it from happening…and now, I have the same on screen message…’no system found’…my file retrieving friend cannot find a way to convert back to Win 7, so ALL my work from the last year is gone…and I cannot afford to pay the ridiculous prices Geek Squad, et al, would charge to get my work back. I am FURIOUS. I CANNOT understand why Microsoft would push a product on so many people without the slightest HINT of individual hardware compatibility( which is what the rep from HP told me in a phone call that lasted 45 minutes), but I guess when you are a company driven by megalomania, you can do whatever you want, damn the consequences….If ANYONE has any suggestions how to help, I’d be eternally grateful, but in closing, I’d like to raise my middle finger at Microsoft…P.S. even with the backups I have, I’d STILL have to spend money I don’t have on a brand new computer, DAW, and spend precious time on gathering sounds…thank you, Windows 10, for wiping out my work, losing money and time, and killing creativity…. I wish it were true that OEM users get a free version. I made the huge mistake earlier this week of upgrading from Windows 7 Pro 64 bit to the equivalent in Windows 10. The upgrade was a disaster. I got locked into a BSOD from which there was no escape; it kept rebooting until I closed it all down manually. There was no system restore; the file was corrupt. I eventually had to perform a clean install, losing all my previously installed programs, inlcuding all trace of Win7. None of my TV capture software now works with W10, neither will Edius video software, I've been informed. Worse still, I've just spent two hours on the phone with Microsoft who refused to provide a product key (though I provided the product for my W7 Pro version): it was an OEM version, so didn't count. Only when I handed over my credit card details did they provide me with a product key that activated the software. I feel their behaviour is little better than being blackmailed by malware. All the Microsoft diagnostics in the last few weeks have informed me that my computer was eligible for a "free" upgrade. So, I've lost functionality, spent many hours reinstalling software and have now been charged a small fortune for the privilege. This is a very disappointing account, Chris. Thanks for sharing it. What about the UEFI requirement? Has that disappeared now? I'm still on good old BIOS. I believe UEFI is only a requirement for a preinstalled version of Windows 8 onward. A retail/OEM disk version should install from BIOS without issue if I recall correctly. Most assuredly in the case of retail. There is also no actual requirement for a Microsoft account. The installation process for newer version of Windows attempts to force users to use Microsoft accounts, but in every version there is also a way to proceed without using one. There may be a requirement to use a Microsoft account to download the upgrade files, but there's nothing in Windows itself that makes people use one. What's the easiest way to fully back up before attempting the upgrade so that the system can be restored even if the upgrade fails? where z: is the drive letter of a second hard disk with enough space to hold a copy of the drive where Windows is installed and c: is the letter of the drive where Windows is installed. Also if you have a "home server" you should be covered, just run a manual backup before performing the upgrade. Thank you, likefunbuntot. How will I restore that? Especially from a (OEM) system that no longer works after the install attempt? Download Easus ToDo Home Free and make a disk backup with it not a system backup. That way you can always go back to that point. Thanks, Alan. Not a system backup? without that support, - there is no upgrade at all. That's not QUITE correct. VT-x support is required to Virtualize Windows 8+, but many Intel Mobile processors don't have support for that and can run Windows 8.1 just fine. Instead, the necessary features are NX (no execute), PAE (Physical Address Extensions) and SSE2. Generally speaking, any PC made in the last six or seven years should have those features, but there are some edge cases with specific AMD processors (mostly Athlon X2s) and on Intel CPUs mounted to older motherboards.